The European Commission is coming “very close” to launching the Article 7 sanction procedure against Poland, if its government fails to amend recently adopted laws on the judiciary, which the EU executive says erode the rule of law in the post-communist country. Commission vice-president Frans Timmermans said the laws recently adopted by the Polish parliament, and the proposed reform of the Supreme Court, put the judiciary under political control and are an attack on the rule of law. 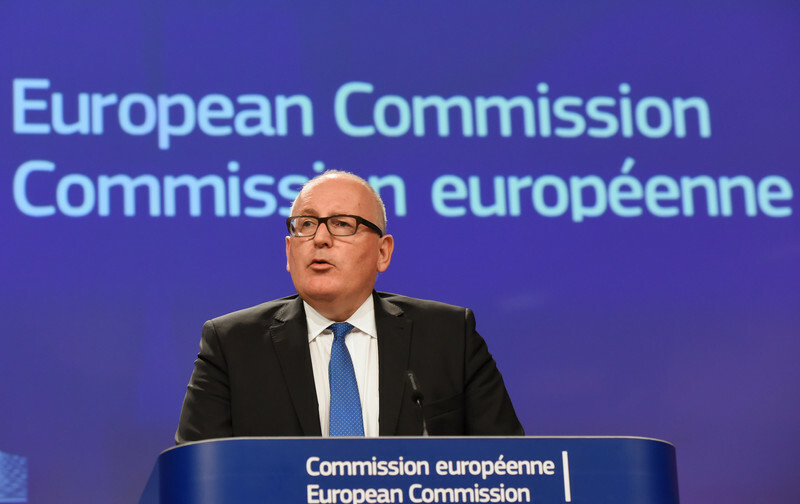 "These laws considerably increase the threat to the rule of law in Poland,” Timmermans told reporters after a meeting of commissioners on Wednesday (19 July). "Each law, if adopted, would seriously erode the independence of judiciary. Collectively they would abolish any remaining judicial independence and put the judiciary under full political control of the government, […] judges will serve at the pleasure of the political leaders,” he added. 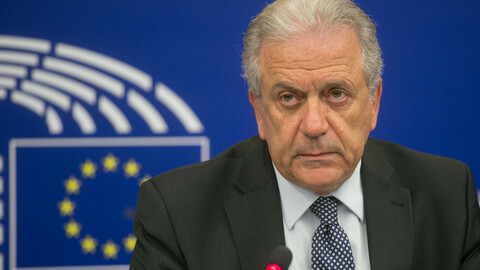 The European Commission will launch legal probes into the laws next week, once their text is published and translated. The EU executive is also preparing to trigger Article 7, a two-phased procedure that assesses the risk of a systematic threat to the rule of law and could eventually lead to sanctions, such as suspending a member state's voting rights. “We are coming very close to triggering Article 7. Our hand is still extended to the Polish authorities for dialogue, […] but dialogue will not stop the commission from taking any measures it deems necessary,” Timmermans said. Launching the procedure would require the EU member states to vote by qualified majority, but they have been reluctant so far to single out fellow governments over rule of law issues. Timmermans said the commission’s worries are "broadly shared by the member states” and, at a recent council meeting in May, they urged Poland to restart the dialogue with the EU executive, which Warsaw has failed to do. The commissioners agreed to try to organise the necessary majority among member states to launch Article 7, by talking to the national governments, an EU official said. The EU executive is treading carefully, as it does not want the procedure to be shot down immediately in the Council of the EU, since this would would mean the commission has run out of options to put pressure on the Polish government. The commission is arguing - in the same way it did in 2013 with Hungary, when the country's judiciary came under political pressure - that a threat to the rule of law in any EU country threatens other member states as well, as upholding EU law becomes unreliable. “The rule of law defines our union. 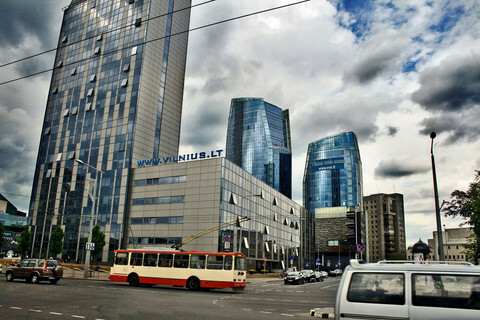 This is no matter only for the Polish people. What is happening in Poland affects the union as a whole, every member state, every citizen of the union,” Timmermans said. Despite warning letters from Timmermans not to go through with the bills, last Friday (14 July) the Polish parliament passed two laws that grant authority to the government to select 15 out of 22 judges on the National Council of the Judiciary, which appoints judges. A third bill, which is still under discussion, would allow the justice minister to choose the Supreme Court members. Overnight amendments - proposed Tuesday (18 July) by Polish president Andrzej Duda on the Supreme Court reform - would mean that party consensus is required to appoint the judges. Timmermans said he took note of the amendments, but said they are not enough. 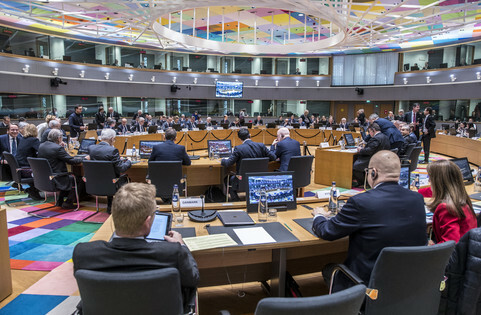 The Dutch commissioner invited the Polish justice minister, Zbigniew Ziobro, and the foreign affairs minister, Witold Waszczykowski, to Brussels for talks. 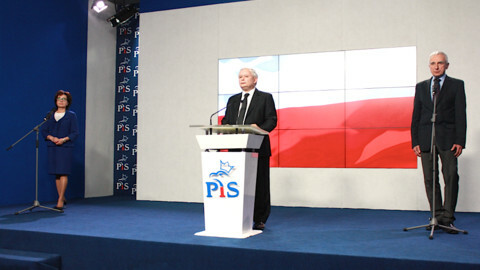 Earlier attempts for political dialogue in Warsaw were unsuccessful, as only low-level Polish government officials would meet with Timmermans. In 2016, the EU commission already said that there was a risk of a systemic threat to the rule of Poland. 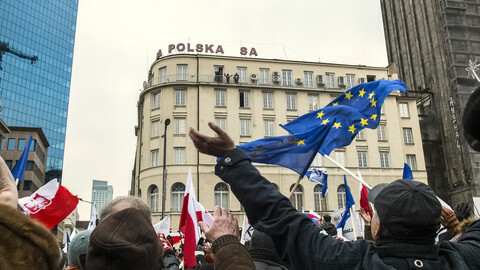 The European Parliament has also expressed its grave concerns over the Polish government’s actions. 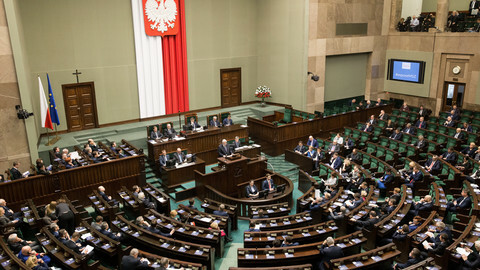 Under the so-called rule of law framework, the commission has already issued recommendations to Poland concerning its Constitutional Tribunal. In light of Brexit, Timmermans said there was “no way” the Polish people would support a government that advocates leaving the EU, even as pressure from Brussels increases on Warsaw's nationalistic government, which is led by the Law and Justice party (PiS). 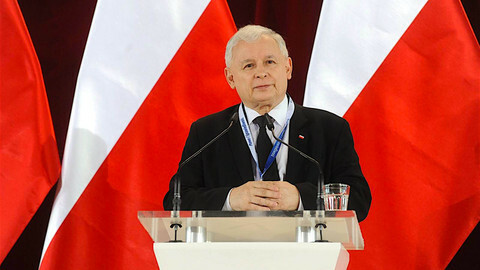 “I will do everything I can […], to make sure that Poland sticks to a development that fosters the rule of law, democracy, openness, the freedom of the media, market economy, opportunity for all - this is the clear goal of the Polish people when they freed themselves from communist oppression,” he said. Timmermans highlighted that the EU has helped with Poland’s development in recent years, saying that it was at the level of present-day Ukraine when it first joined the bloc. Speaking later, Timmermans' Polish colleague, industry commissioner Elzbieta Bienkowska, warned that if the reforms were implemented, "there will not be any understanding here in Brussels." She also warned that Poland could benefit less from EU funds, when the next EU multiannual budget will be discussed. "Given the whole mood surrounding Poland ... it will have very adverse effects on the discussions on budget," she told journalists. Leaders of the main political groups in the European Parliament have called on EU institutions to "speak out and act" against the latest reform of the judiciary system in Poland. 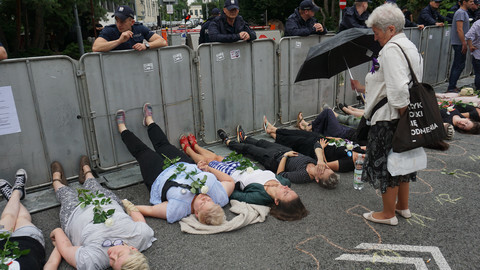 The ruling Law and Justice party's bid to take control of Poland's court system has angered young people, who had so far been absent from anti-government protests.